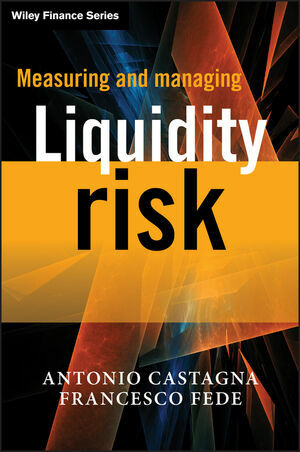 Written for front and middle office risk management and quantitative practitioners, this book provides the ground-level knowledge, tools, and techniques for effective liquidity risk management. Highly practical, though thoroughly grounded in theory, the book begins with the basics of liquidity risks and, using examples pulled from the recent financial crisis, how they manifest themselves in financial institutions. The book then goes on to look at tools which can be used to measure liquidity risk, discussing risk monitoring and the different models used, notably financial variables models, credit variables models, and behavioural variables models, and then at managing these risks. As well as looking at the tools necessary for effective measurement and management, the book also looks at and discusses current regulation and the implication of new Basel regulations on management procedures and tools. Antonio Castagna (Milan, Italy), is Partner of Consulting Firm Iason ltd. F.F: Head of Structured Products at Banca Profilo, Milan, Italy. Prior to this, he was head of FX Volatility trading at Banca IMI and has also held positions as Interest Rate options trader, FX options Trader in Milan and Financial Risk Analyst at IMI Luxemburg. Antonio holds chartered accountant and certified public accountant qualifications and is very active on the conference circuit and teaching at Masters level on FX topics. He graduated in Finance from LUISS University, Rome, in 1995 with a thesis on American options and the numerical procedures for their valuation. Francesco Fede (Milan, Italy), Head of Treasury at Banca IMI, Milan, Italy, one of the major European investment banks, and is also involved in redefining the liquidity policy for the IntesaSanPaolo Bank, the parent company of Banca IMI and the second largest Italian bank. Previously, he has help positions as Head of the Financial Analysis Unit in IMI Banca Luxembourg, and SVP Treasury and SVP structured Bond Dealer, also at Banca IMI.